We’ve talked about the sulfates and parabens. We have even talked about what better choices are being made to replace those frowned upon ingredients. What’s next? Well, even though we have taken out the sulfates and parabens in your hair care products, there is still something that SLI Beauty has forgotten to mention. We also include, Essential Infusions into your private label hair care. It is taking private label hair care one step further. What are Essential Infusions you ask. 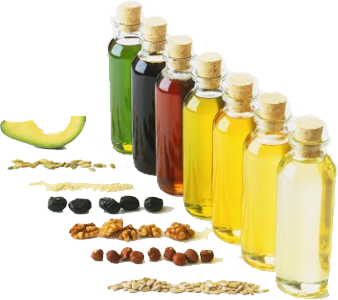 Well it is your opportunity to add extra tinctures, specialty oils, proteins and essential oils to your formulations. This is not only taking customizable hair care one step further, but it is also creating added benefits to your line. Making each of your products more marketable and beneficial to your clients. For example, if you have a Hydrating Shampoo and Conditioner and want to improve the moisturizing benefits you might want to add some Jojoba Oil, which absorbs quickly and helps the natural balance of the hair’s sebum. It also is extremely moisturizing and improves the hair’s elasticity. To give it support, you may want to also add some Aloe Vera. Aloe Vera has been shown to improve hydration and encourage cell rejuvenation.